Six-year-old Emma created her Summer bucket list and eagerly began checking the box to each and every item she had written. One of those adventures included every child’s first “job”—a cookie and lemonade stand. She began the night before by creating and painting signs to display her delicious treats. Cookies, lemonade, and sweet tea, 50¢! To aid in the alleviation of this distant dream for many Kenyan children, Point of Impact has partnered with Light Ministries and Pastor Richard & Helen Makani. Currently, 450 children from the slums of Kitale attend the feeding station five days a week from 7am to 5pm where they receive both breakfast and lunch. On Saturdays they return for half the day for Bible teaching. With three baby classes (kindergarten), up to grade six, each child receives an education according to the Kenyan standard curriculum. The teachers also set aside time each day to have forty-five minutes of discipleship teaching. This week they are focusing on obtaining a good character using the Fruits of the Spirit. As mentioned above, these children live in extreme poverty and do not have the fees to cover their uniforms and supplies. So, every three months the children receive a uniform (which is usually their only clothing.) All of these uniforms are sewn by women in the ministry who then train the older children how to create them as well. Of these 450 children, eighty attend the Kenyan public school (mostly high-schoolers), but their uniforms and supplies are provided by the ministry. 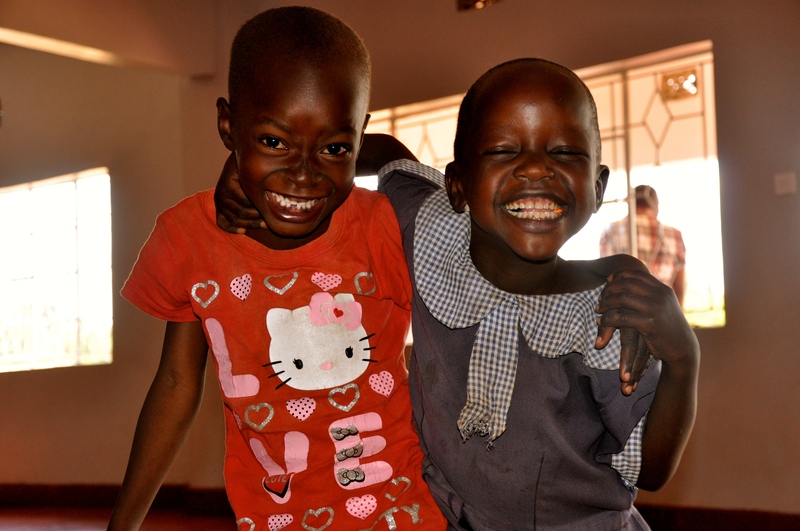 After the 6pm school day is over, 176 of these children make their way to the Seeds Children’s Home where they live. Here they are taught farming skills, carpentry, poultry farming, and gardening. All of these children are orphaned but have been rescued from the slums by Richard and Helen. To read one of the children’s stories, click here. Earlier this year I had the opportunity to visit the feeding station and orphanage. I was so encouraged by Pastor Richard and Helen and the leaders of this ministry. They truly are changing lives and living out the Gospel each and every day. Recently, I spoke with Pastor Richard and asked him to share with us some specific prayer requests for the children. I simply ask that you would commit to praying for these precious people who have devoted their lives to the Gospel in an incredibly difficult area. As you read over the requests below I also ask that you would consider giving to this particular feeding station. –>One more day of food – $250 – Currently the children are only fed Monday-Friday, so when they return on Saturday for Bible teaching, we would like to include a meal. This meal will likely be the only one they receive until the following week when they return to the feeding station for school. –>Two additional classrooms – $12,000 – In order to accommodate more children we need to expand our school classrooms. Most of these children have to sit in the floor or share a desk with a classmate so that they can all fit into one classroom. –>Pay raises for our staff – $1,500 – Our staff is made up of thirty devoted leaders who teach, cook, clean, work in the clinic, and counsel the children. They work long, hard hours and we desire to pay them well. We would like to raise their pay to an additional $50 a month, which would be $1,500 for thirty employees. –>Prayers for strength and wisdom – Richard and Helen’s ministry never ends. When I traveled there this year, they constantly poured out from early in the morning to late in the night. They carry many burdens, many responsibilities, and more Faith than I could ever imagine. I ask that you would pray for their strength and wisdom to love these children with every new day. –>Prayers for Michael’s health – Richard’s middle child, Michael, suffers from sickle-cell anemia. Amidst an incredibly demanding job, please pray that Richard and Helen will have what it takes to best care for their little boy. Right now he is doing well and enjoys all the rambunctious activities as any little boy! Hannah Hamilton is the daughter of David and Ruth Hamilton, founders of Point of Impact Ministry. 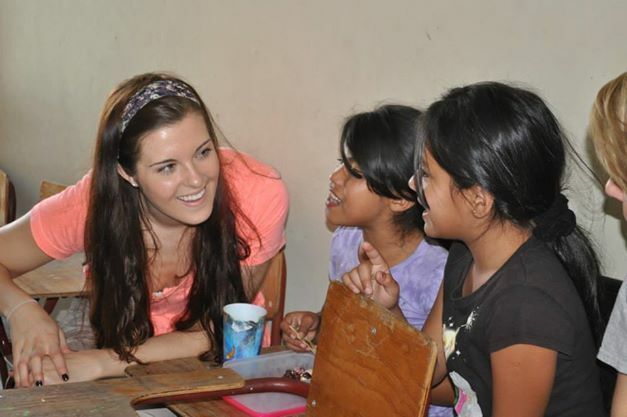 She first traveled to Honduras at 6 years old and has been passionate about advocating for the impoverished ever since. To read more, click here. Lindy is a Junior English major at the University of Memphis. She works as a nanny and hopes to one day teach english as a second language. 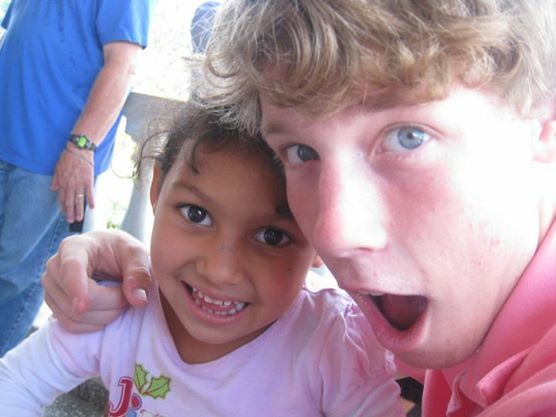 I met beautiful Yessenia when I went to Honduras on spring break. 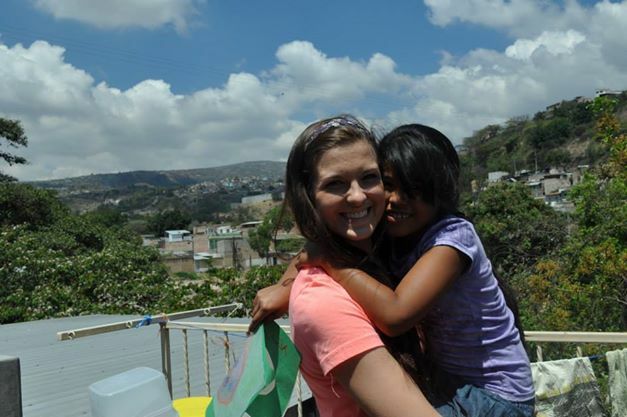 She lives in one of the poorest neighborhoods in Honduras called Feb 21. I wasn’t sure why then, but the whole time while I was there, she was at my side wanting to hold my hand. I got to talk with her more and learn about her family. She is eight-years-old and lives with her single mom. I knew then that it was my responsibility. Though I am a college student and don’t make much money, I knew that there were small sacrifices that I could make in order to sponsor Yessenia. By just giving up a few meals out with friends, I am able to sponsor her monthly. I am comforted by the fact that she is not only being fed and receiving tutoring, but also that she is being taught about Christ’s great love for her. 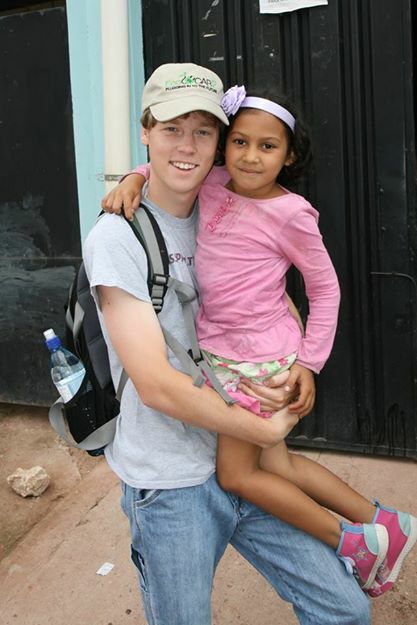 Though I have not sponsored her very long, I am so excited to start writing her letters and building our friendship. 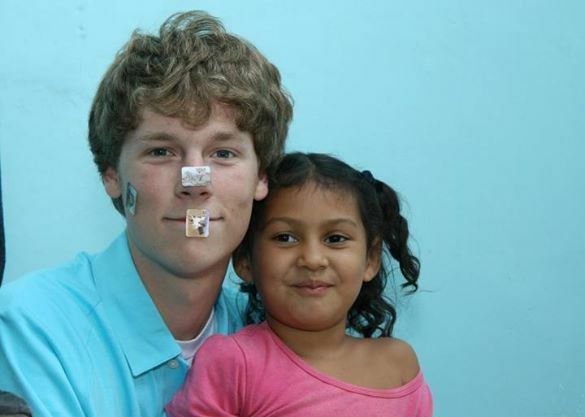 I decided to sponsor through POI because I fell in love with little Maria Jose when I met her on a mission trip. We had so much fun that week (even when she thought pulling on my hair was fun). It wasn’t until the second time I went to Honduras that I made the decision to sponsor Maria Jose. Right there in Honduras, I pulled out my iPad and started sponsoring her. That was almost 2 years ago. Maria Jose is full of life, and always smiling. But her life is nothing to smile about. Last year, while delivering tubs of love, we happened to walk into her house without me knowing. I saw a little unicorn sitting on a shelf that looked exactly like a unicorn I had purchased at Target and gave to her the day before. I immediately blurted out “Are you Maria Jose’s mother?” Through a translator she said she was indeed her mother. She then began to tell the sad story of Maria’s home life. I have been sponsoring Maria Jose for almost two years now and I plan to do it as long as the program allows me to. It is a small way that I can make a difference. We are so thankful for sponsors like Stephen and Lindy. They are a perfect example that anyone can make an impact. 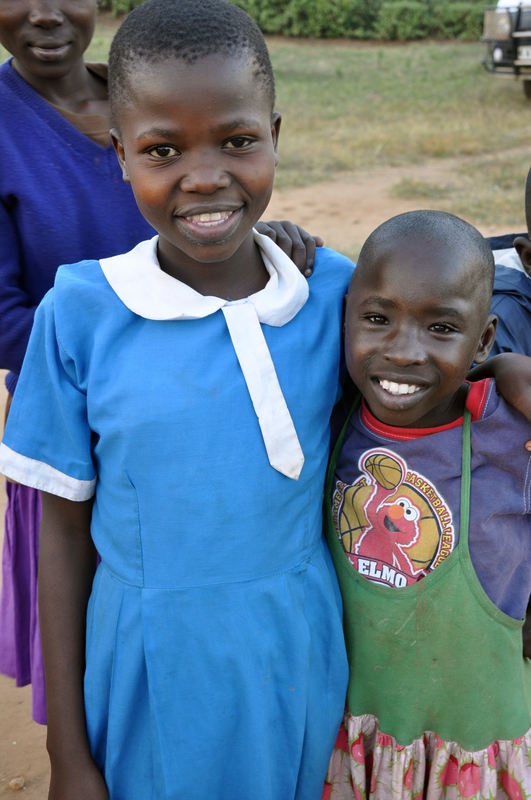 If you would like more information or would like to choose a child to sponsor, just click here. To each of our sponsors, THANK YOU. Point of Impact could not exist without your prayers and generosity.